Earlier this week Meera met up with Duncan Law-Green and Will Whitehall to discuss the future of the tourism industry. Meera - The mission: my summer holiday. Destination: outer space. Think I'm joking? The way commercial space travel is going, this could soon be a reality. As part of the Cambridge science festival, two Cambridge scientists working in this field came to town to tell us about the possibility that by 2010 regular members of the public - well members of the public with $200,000 to spare - could be spending their annual leave in space. I went along to the event and the first speaker was Duncan Law-Green from the University of Leicester. I spoke to him afterwards and he told me more about the concept of space tourism. Duncan - Space tourism is developing new and cheaper ways of getting into space. It's reached the point where a large fraction of the population can actually afford to travel into space. Meera - How many people have done this as tourists to date? Duncan - To date five have paid in the region of 20-30 million dollars each for Sawyer's trips to the International Space Station. Meera - What projects are in development at the moment to make this more common and more frequent for people? Duncan - We can break them into two groups: suborbital and orbital. Suborbital is where the space craft travels sufficiently high to reach the edge of space (100km above the surface of the Earth) but it isn't going sufficiently fast to reach orbit so it's going less than 17,000 miles per hour. 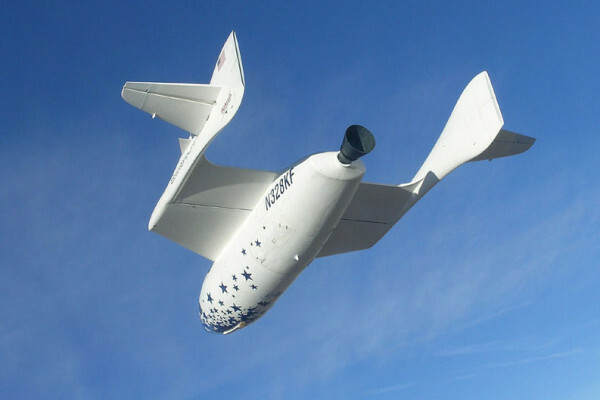 The major projects for suborbital are Virgin Galactic, Blue Origin, there's a project by EADS Astrium and there's a small-scale project by Armadillo Aerospace which is owned by John Carmack who developed the Doom and Quake video games. Meera - What challenges are the designers of these projects facing? Duncan - Well, the major issue is safety. Current, manned orbital spacecraft have a risk of fatal accident of around 1 in 70 so they want to make it at least 100 times safer than that. This gets you around the level of safety of the first generation of commercial airliners in the 1930s. The challenges there are to have a robust airframe, really safe propulsion systems making sure the rocket engine starts when it should each time and every time where it doesn't detonate or it didn't fail in any way. That's the real challenge. Meera - Will there be environmental impacts of these changes? Duncan - There's a number of environmental impacts. You have to consider carbon emissions, carbon footprint, possibility for toxic chemical release because a lot of these rockets may use dangerous chemicals. You need to handle them. Disturbance to nearby wildlife, sonic booms and their effects on the locality, the risk of dropping debris on nearby population. The US environmental protection agency is very careful about that. It makes all the spaceport developers go through a very long process where they have to justify this. They have to account for all the possible risks to make sure the spaceport will be safe and have minimal environmental impact. Meera - What's the future of this and what further developments will there be? Duncan - The next step after Spaceship 2 is probably a long-distance suborbital point-to-point vehicle that would take you, say, from London to Sydney in an hour. You'd be flying several thousand miles an hour up above the atmosphere and curve in an arc and come back down at Sydney. Meera - The ability to view our beautiful Earth from high above and see kangaroos all within an hour. Who could want more? One person who thinks we're capable of even more is Will Whitehall, president of Virgin Galactic. He also spoke at the event and told me more about the aims of his company. Will - Essentially Virgin Galactic is going to be the operator of a space launch system. Our first operation is going to be taking people into space who've paid up to $200,000 to go. We have a longer-term industrial application which we want to use the space launch system for. We want to be an operator who also carries cargo into space in the future, science experiments into space. We want the ability to use this system which is very low in environmental impact and low cost to launch low Earth orbit satellites as well. Meera - How are the designs and materials you use better than what's already used? How are they better for the environment? Will - For a start, they're not metal so they're very, very light. Carbon composite is a very light material so you use very little energy to get it up into the atmosphere. The aircraft we're developing is the world's first really true all-carbon composite plane and it burns hardly any fuel. It can get the spaceship well above the atmosphere to the top of the troposphere, at about 50,000 feet before it even fires a rocket. It then needs a much smaller rocket than it would need from the ground. The rocket itself has benign materials in it: rubber and nitrous oxide so it causes very little environmental impact. As a result of that it's also low-cost. You can pretty much say that anything that costs a lot of money in transportation is using more energy and having a bigger environmental impact. Every time the shuttle takes off, for example, every shuttle launch costs about $750,000,000. There's the same input and output of nearly the whole population of New York for a week. This system is going to have the same environmental impact as a business ticket from London to New York in a normal airplane. It really is a revolutionary in terms of the energy it uses to get into space. Meera - So how does it fly differently? Will - One of the things it does in space is instead of trying to re-enter the atmosphere like the shuttle does and fly a flight profile in order to land on the atmosphere, in effect, it changes shape in space into a shuttlecock. It drops in to the atmosphere and then at 50,000 feet changes into a glider and without using any energy at all simply glides down to the airport. It's a very simple system but it's a very unique technology because no one had ever thought of changing the shape in space of the vehicle to allow it to get into the atmosphere more easily. Meera - How far in space are you going to take people so what will the actual experience involve? The experience in total for people will be about 2:30 hours. They'll fly up to 50,000 feet, they'll be launched by a rocket, they'll go into space, they'll see the beauty of the planet, they'll experience weightlessness, they'll be able to move around in the cabin, they'll then be able to come back into the Earth's atmosphere. They will get a pretty comprehensive experience and about three days training for it before they fly. Meera - I have to admit, I though the experience might last a bit longer than 2:30 hours. Either way, the notion that we could all one day experience what the astronauts do is truly out of this world.